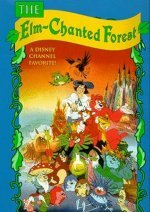 A young artist finds he can talk to the animals and paint magic pictures each time he falls asleep beneath an enchanted elm, deep in Fantasy Forest. He soon needs to put his powers to good use in order to ward off the Spine Tinglers, an army of living spears and axes under the command of the evil Emperor Spine, who wants the magical wood for himself. Awash with psychedelic and religious imagery, this curious cartoon feature blithely treads a fine line between imaginative fantasy and hippy hogwash.